We drink to be sociable. We drink to celebrate. We drink to commiserate. And sometimes we drink for a good cause. 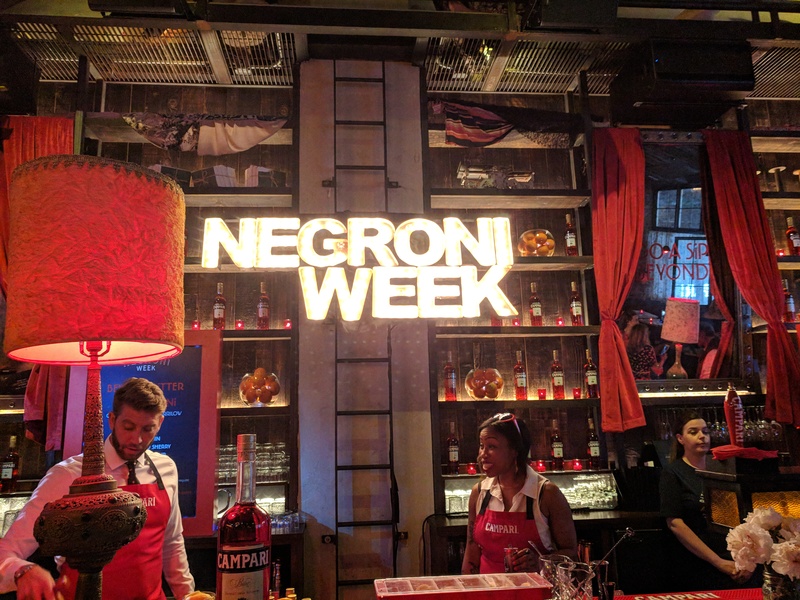 Like this week, June 4-10 is Negroni Week, a charity campaign launched by Imbibe Magazine in conjunction with Campari. The concept is simple, for one week in June participating bars and restaurants mix up their best classic negronis (1 part gin+1 part Campari + 1 part sweet vermouth) or variations on the classic. For each cocktail they sell, they donate a portion of the proceeds to charity. 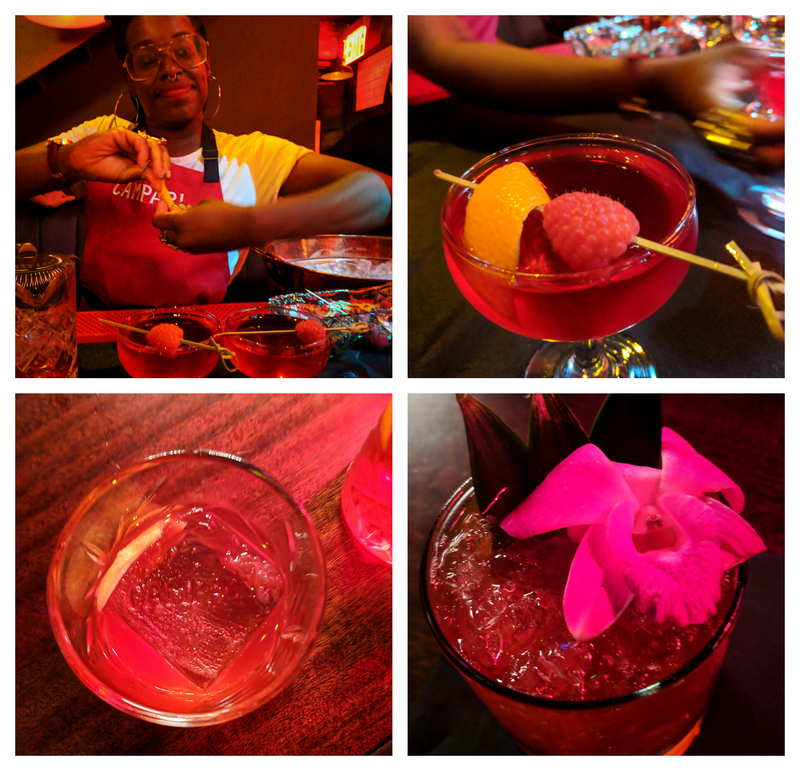 Negroni Week began in 2013 with just 120 bars participating. This year, it’s a worldwide success, with over 7,700 venues around the world signing on. To date, they’ve raised $1.5 million for worthy causes. 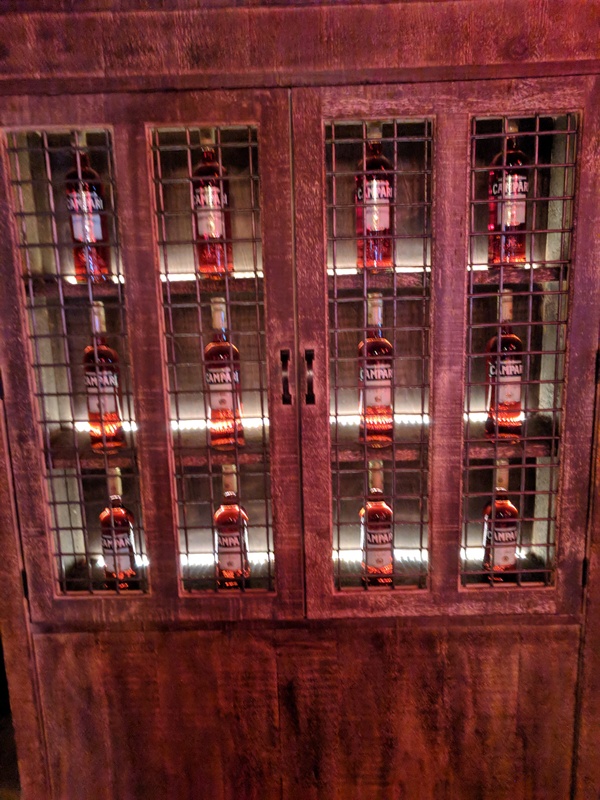 Find a participating bar near you here. TheLUSHiouslife was at the kickoff event this year at The Ragtrader. New bar to us, great venue—spacious, welcoming, a long, lovely bar upstairs with intimate nooks and crannies containing additional seating. 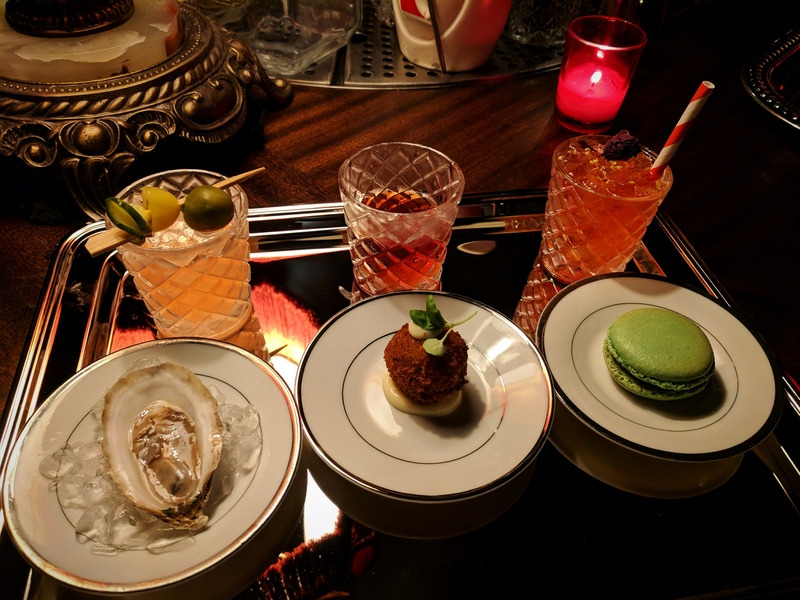 The downstairs is a real find, an intimate lounge with another beautiful bar and a pianist who belts out everything from Blackstreet to Stevie. Check out some pics of the action. If sipping a negroni is not your thing (we’re not judging but let’s say the side-eye is severe), you can still participate by picking up some sweet negroni-themed swag like carafes, decanters, and even negroni coffee. Check it out here. 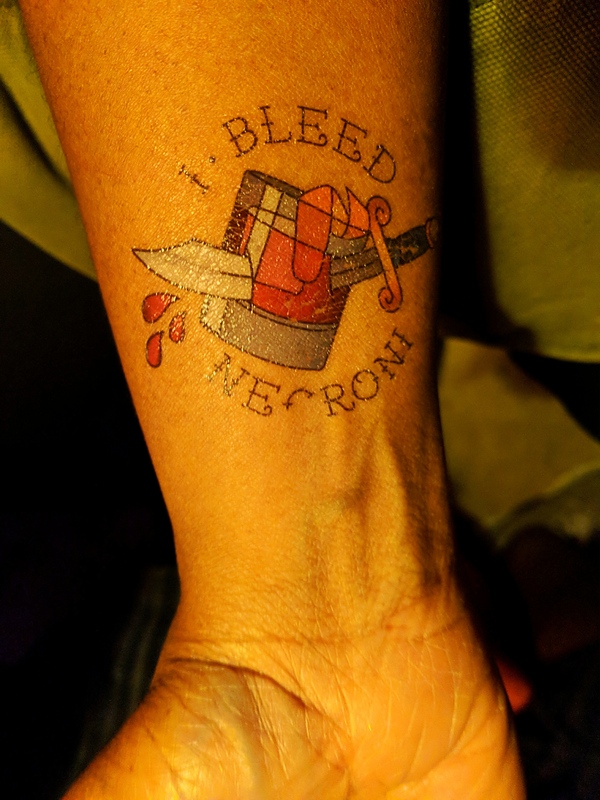 We had such a great time, we even got a tattoo to mark the occasion. 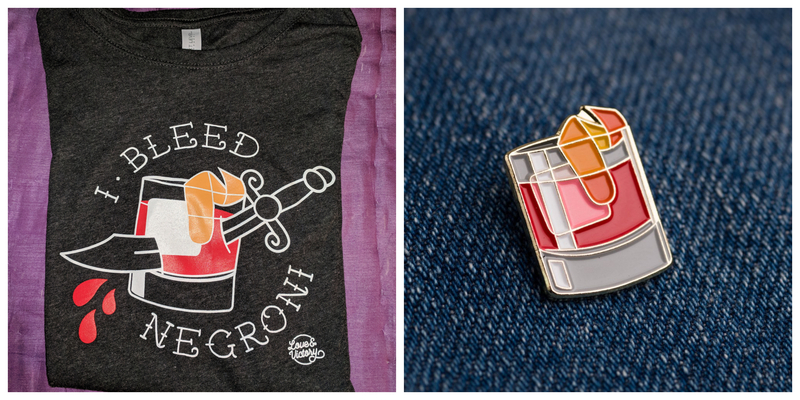 Turned out the tattoo was just temporary, so we also picked up this super cute pin we’ve been coveting since last year and t-shirt from Love & Victory. They donate $1 from each to City Harvest. So hit up a participating bar and order a delicious negroni—and feel good about your charitable nature.